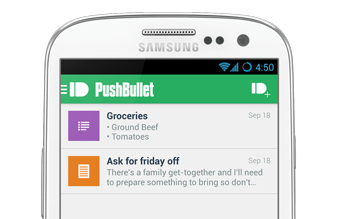 Today, we are very happy to announce the integration of Pushbullet as a new “alert contact type”. With this integration, it is now possible to get the alerts on all these platforms in real-time. And totally free. How to use Pushbullet with Uptime Robot? Enter a “Friendly Name” and the “Pushbullet API Key” and create the alert contact. Attach this new alert contact to the monitors you prefer from the “edit monitor” dialog of each monitor. This entry was posted on April 8, 2014 by Umut Muhaddisoglu. Uptime Robot is already integrated with the free and easy-to-use Boxcar app for sending iOS push messages. Lately, the app has a new version, Boxcar 2, and the old version will be inactive in the next weeks. Uptime Robot now supports Boxcar 2 and “any alert contacts for the older version will be deactivated on 11 April 2014 (7 days later)“. attach this alert contact to the monitors preferred. With this update, we have added the ability to define friendly names for alert contacts so that it’ll become much easier to distinguish them from each other. This entry was posted on April 4, 2014 by Umut Muhaddisoglu.